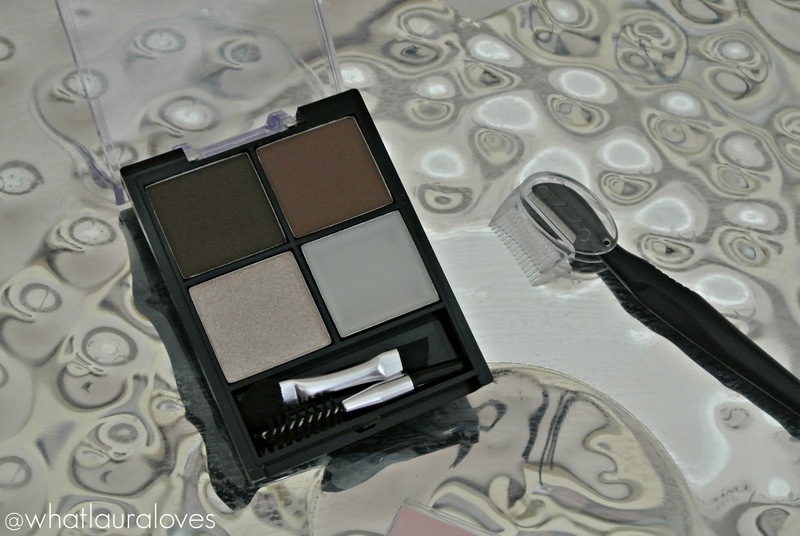 My most loved discovery over the last month has to be the Kiss Beautiful Brow Kit. The Kiss Beautiful Brow Kit contains two brow shadow shades that can be worn alone or mixed together to create your own bespoke shade. One colour is a cooler toned dark brown and the other shade is a warmer toned mid brown. Both are very intensely pigmented and only a very small amount of product is needed. As far as I am aware, there is only one colour way available in this kit and the shades here are quite dark so if you’re very fair haired and don’t like a strong, bold brow then this kit may not be for you. However for me, the darkest shade is perfect. The lighter brow shade is too warm toned for me but the darkest shade is perfect if I use a light hand on an angled brow brush. The one that I’ve been using is the 322 Brow Line Brush from this Zoeva kit and it works superbly. I’ve been wanting to go darker and more defined with my brows for ages now and this kit has given me the confidence to do it. The palette has another shade which is a shimmery, light beige, champagne shade which is designed to be used as a highlighter. This shade is absolutely stunning and I’ve even used it as an eyeshadow as it is that pretty. It looks great when highlighting the brow bone and really helps to define the brows even more. 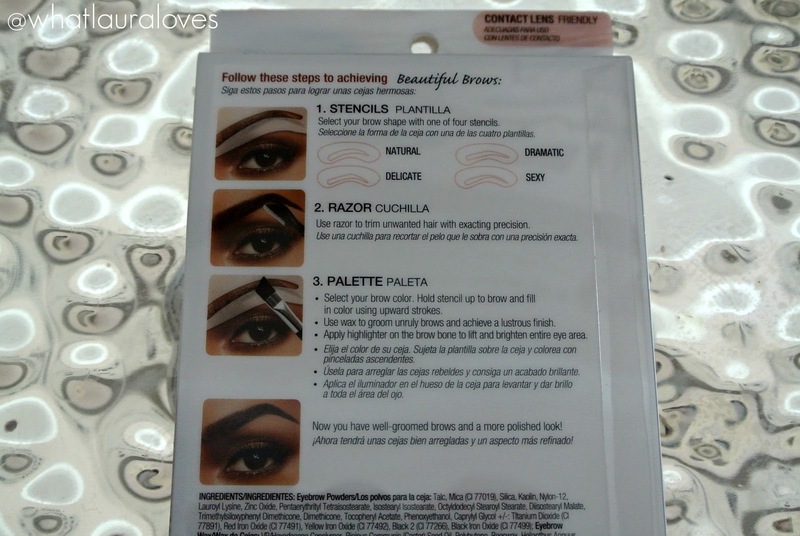 I was so happy to see that there was a brow wax in the kit which I absolutely LOVE. 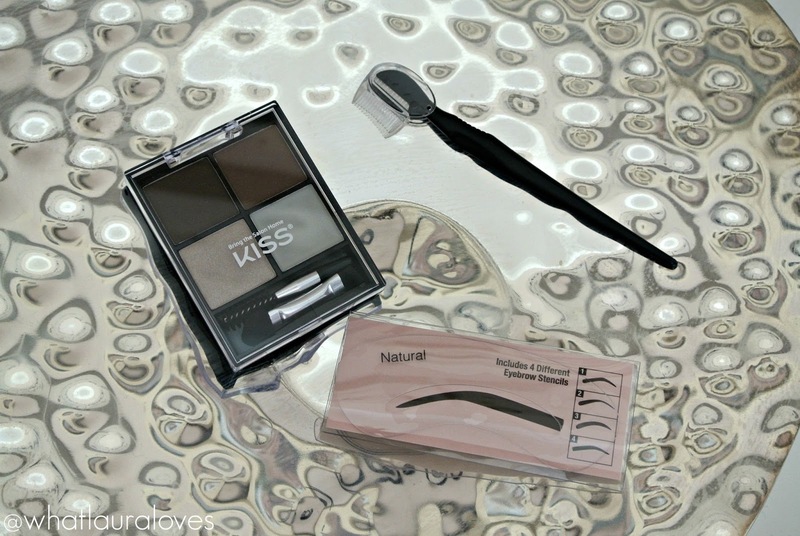 I had an eyebrow kit that had a wax in it many years ago that I was obsessed with because it did such a good job of setting my brows in place, you can check out my review of it here. The wax in this kit is very soft and it doesn’t take a lot of warming up at all. Only a very small amount of product is needed to set the brows in place. The kit also comes with a little spoolie that is great for brushing through your brows if they’re particularly unruly and a double ended applicator with an angled brush on one side and a sponge on the other. I don’t use this applicator as I find it to be too fiddly and I much prefer to use my own brush that I’ve talked about above because I find that I can get greater precision and control with it. However for a little compact, the two brow shades, the highlight powder, wax, spoolie and applicator do make a handy little kit that would be good for travelling. There are four different shaped stencils in the kit so if you were someone who isn’t so sure on what shape to go for with their brows then they might be good for you to use. Personally, I like to just freestyle. There is also a little razor in the kit which I didn’t think worked very effectively at all. It kept trapping the hairs in my brows and tugging them which wasn’t a pleasant experience at all. I think you’re better off with one of those little electric brow shavers or plucking if you wanted to get some stray hairs out yourself to be honest. Although I wont use everything in the kit, I’m so happy with the highlight, the dark brown shadow and the wax that I would definitely repurchase the kit. My brow routine is more of an art recently and I’ve really been enjoying taking my time to do them each day. I first apply the powder, then I set my brows in place with the wax and add some highlight to the brow bone. Its as simple as that but it creates a really gorgeous effect just by using this palette. When I use this kit, my brows stay in place all day with the same strength of colour as when I first applied them. Want brows on fleek girls? Then this is a great kit for you! 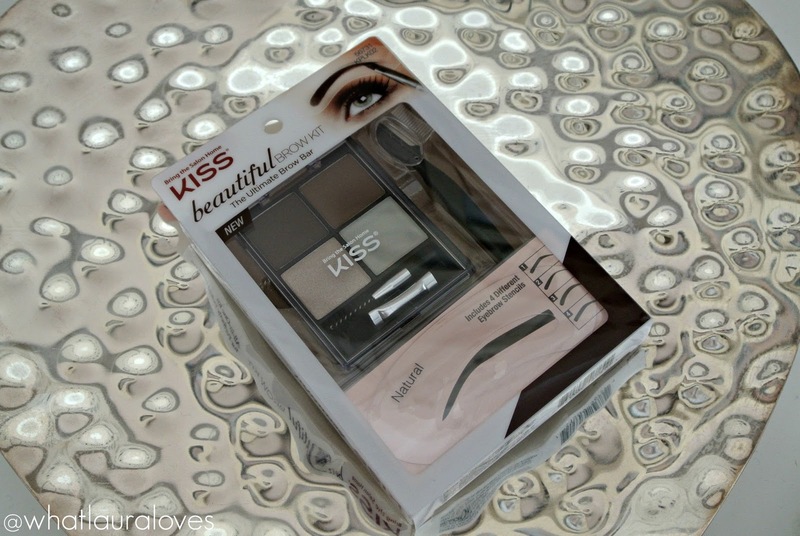 The Kiss Beautiful Brow Kit* is available online in the US and in ASDA stores in the UK. Your brows look great! I wouldn't use the razor either. Kiss is really coming out with so many new products lately. The kit looks great and I loved your pics. Eeeks I just got introduced to this – can't wait to check it out! Your brows look amazing!